The Blitzkrieg Within: Breaking the dreadlock! It's good enough we're not losing but it's bad enough we're not winning either! There can't be a better opportunity to make a come back for us than tomorrow! 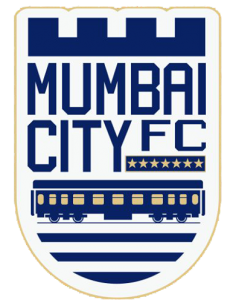 Here are five talking points about Mumbai City FC's chances! Miscued chances is what has cost Mumbai City to drop points in a drab fashion in the last 3 games. Moritz blitz in the Pune game had us all in an awe and our expectations went sky high but he has been goalless ever since. With towering defenders in the squad, there would be nothing wrong in expecting a goal or two from the set pieces! The defense looked lost at the start of the season. Like Coach Peter Reid remarked, MCFC wasn't playing like a team. They have come a long way to shield the Mumbai goal for five consecutive games. And they will have the job to contain the ghost-like runs of Jeje/Mendoza who managed to bamboozle the Mumbai defenders on more than one occasion in the sides' previous meeting (Also resist their urge to take them down every now and then!). On one hand, as much as we were disappointed to see Freddie play only for a handful minutes in the entire tournament, Anelka has lived up to his stature and given the fans what they wanted. He will be pivotal to Mumbai's chances in the tournament. He will have to be the better player against Elano to give the Mumbai City fans the win they are so craving right now. Subhash Singh and Nadong Bhutia are the raw Indian diamonds being polished by Peter Reid and it's about time they start making an impact in the game on their own. Subhash in particular has been spectacular in finding space in the opposition half, making those little runs with his pace but he has made unfortunate contributions to missing sitters. Nadong has been creative on the right flank with his crosses. 5. The dish best served cold. Yes that's right. Revenge time. No shooting blanks tomorrow. It's not a derby. More importantly it is the question of how we reply to the five goal thrashing we received at their mercy in their backyard. Time to buckle up. Not give away penalties and free kicks especially in the Elano region!